I've been a passionate baseball fan since my family took me to watch my first game at the old Tiger Stadium at the intersection of Michigan and Trumbull in downtown Detroit. In my opinion you just can't beat being outside on a nice day enjoying watching a good baseball game. Going to games was always a thrill when I was a kid and as an adult I've regularly visited the ballpark to take in our national pastime even going to a handful of games in 2003 when our hometown Detroit Tigers set a record for losing more games in a season than any other team in American League history. Unfortunately sharing my love for the ballpark isn't something I can easily pass along to my children. You see they have a severe, life-threatening food allergy to peanuts and taking them to a game without any special accommodations is just asking for trouble. I always use to sing along "Take Me Out To The Ball Game" during the 7th Inning Stretch at games without much thought to its lyrics but if you think about it that 1908 song, which really is the sport's anthem, highlights the strong multi-generational association between peanuts and baseball. Take a look around the next time you go to a stadium for a ball game and you'll see more people than you might have expected snacking on peanuts. Then look at the ground. Wow! I never realized just how littered with peanut shells ballparks are until it became an issue for our family but those darn things are everywhere. So while our family loves the game it's not often we get the chance to go out to root, root, root for the home team because it just isn't worth the risk of exposing our children to a situation that could put them into anaphylactic shock. Sometimes an opportunity does present itself though for us to safely take our kids to a ball game. 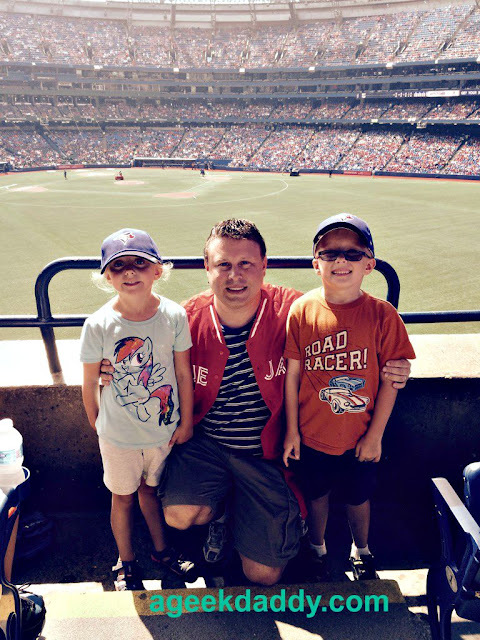 Recently we took a road trip to Toronto to see the Blue Jays take on the Tigers from a peanut allergy friendly section. 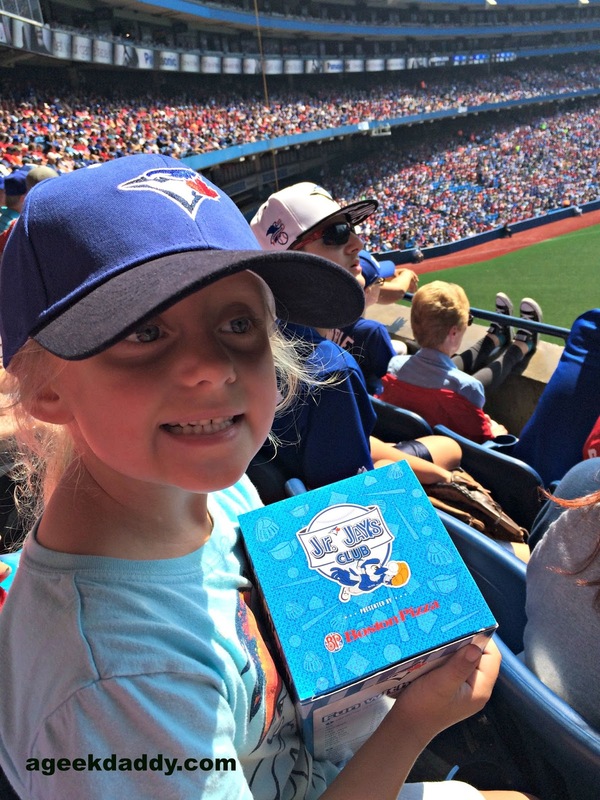 The Toronto Blue Jays really did a nice job with making some accommodations for fans suffering from food allergies so that they could feel comfortable going to the stadium to go see a game live from the stands. Everyone with tickets to the peanut allergy friendly section were allowed to enter an entrance to the stadium that took you directly to the seating area to reduce any potential contact with allergens. The section was power washed and checked to make sure it was cleaned of any peanut shells prior to the game. The concessions closest to the section took a break from selling peanuts that game. A few extra staff policed the area to make sure no one brought any peanuts within the restricted area plus one of the medical teams normally on duty was re-situated to be close by just in case someone did have an allergic reaction. These weren't overly expensive or difficult accommodations to make but they made a big difference in allowing the people with peanut allergies and their families to have a fun and safe outing at the ball park. 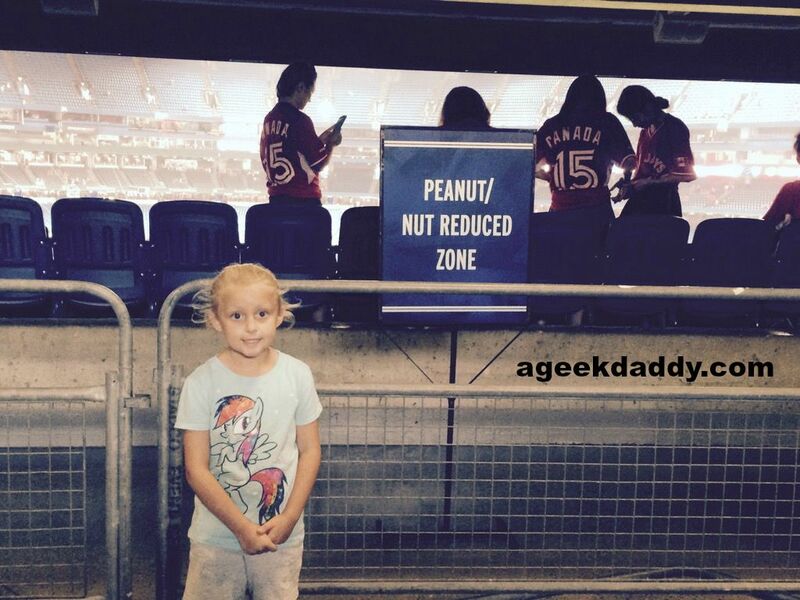 Efforts like those by the Toronto Blue Jays show that peanuts don't need to be banned from a stadium to avoid disenfranchising baseball fans who suffer from this food allergy but rather showing a little consideration can make a big difference in providing an opportunity for a dad or mom to take their kid to a game for a family outing they might not otherwise been able to have. This is the 11th year that the Red Sox have made peanut allergy friendly accommodations available to fans. Every team home stand one of the areas in Fenway Park's Media Booth is allocated to a family that has a child with a severe peanut allergy. A doctor's note confirming a child's severe peanut allergy is required to be placed on the waiting list. Booth F holds six people with tickets at $55 each including a Red Sox goody bag along with the priority seating arrangements and a view similar to the one the play-by-play broadcasters have from a secure window enclosed area. Additionally, the Red Sox host several games blocking off outdoor sections that hold from 70 to 200 people in a peanut restricted zone. In 2015 they hosted four of these peanut allergy friendly sections on Sundays throughout the months of July and August including a game versus our hometown team the Detroit Tigers. In addition to cleaning peanut residue from the area and restricting peanuts during the game around this section, these games have a few extra welcoming touches to them. The team displays a scoreboard message during the game "The Boston Red Sox Welcome Our Peanut Allergy Families to Fenway Park" plus their mascot Wally the Green Monster devotes a half inning to swing by the peanut allergy friendly section to greet and interact with attendees. Plus like the people who are able to sit in Booth F for a game each person gets a special Red Sox goody bag. The Red Sox were given top billing this year for their continued and sustained efforts to accommodate fans with food allergies, their hosting food allergy friendly sections during summer weekend games when attendance is at its peak, and for their efforts to provide access to games to children with severe food allergies through making Booth F available throughout the entire season. The Blue Jays made the list this year because our family experienced their event first hand and had a wonderful time. The only bad part of the game was watching the Tigers get pecked apart 9-2 by those feisty birds but we did get some nice complimentary Blue Jays jerseys out of our visit. 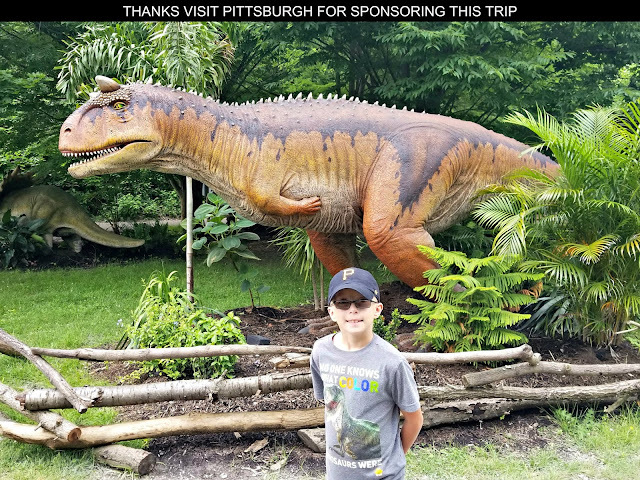 The information was easy to find online as that was how our family found out about the section and purchased our tickets. They didn't care we were driving over from the opposing team's hometown in another country to attend the game either as the Blue Jays staff we dealt with were as friendly and helpful as people could be. The team hosted the peanut allergy friendly section six times throughout the season and tickets were affordable at $32 each. The Phillies let peanut allergy fans watch the game in style from specially designated suites. During seven games this season the team hosted what they call Peanut Reduced Suites which were specially cleaned and where peanuts were banned. They call them "reduced" because you never know if wind might blow some peanut debris or dust someone's way from another section of the ball park - but that really is a minimal risk for this and the peanut allergy friendly sections located at other MLB stadiums for most though not all people with peanut allergies - so that is meant to be a disclaimer on potential liability. In fact none of these fan sections are ever labeled as "safe" but rather as "reduced" peanut zones or allergy "friendly" areas, so just as when out in public anywhere else people with peanut allergies need to be prepared for the possibility of incidental exposure from being out and about. Locations that provide suites like the Phillies do provide a bit of extra peace of mind because if the wind does really pick up people know they can go inside. For $60 you get a great view of the field plus a food and non-alcoholic beverage buffet. If you've priced out MLB tickets recently you know that for a suite seat and sweet buffet that's not a bad deal. The Twins have coordinated Peanut Controlled Days the last few years with the Anaphylaxis & Food Allergy Association to provide zones at select games catering to people with peanut allergies. In 2015, Target Field provided two private open air balconies in left field at twelve games throughout the season that took special precautions to provide a safe and comfortable atmosphere for fans with peanut allergies. Tickets were also very affordable at $24 each. It's nice to see a sports team working together with a food allergy advocacy and research organization like AFAA to address stadium accessibility and safety concerns. Speaking of working with a food allergy advocacy and research group not only did the San Diego Padres do that in organizing their food allergy friendly zone at Petco Park this year but they also donated a percentage of those ticket sales to F.A.R.E. (Food Allergy Research & Education). Way to go Padres! If your local Major League baseball team wasn't included on the list, contact them and see if they offer a peanut allergy friendly section anytime during the season. If not, ask them why not? 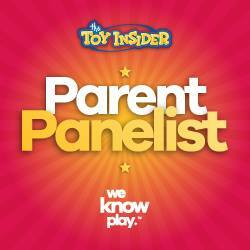 CLICK HERE for more information about peanut allergies.